If you currently have a mortgage or are looking at taking one out, you’ve probably come across a concept so notorious, so vile, that it can cause blood-curdling screams and fainting in the boldest of people. Before you throw your phone across the room, take a minute to read to the bottom of this blog. Mortgage insurance doesn’t deserve the horrible reputation it has earned over the years — in fact, it can help you a whole lot. Some people think that mortgage insurance is the same as homeowners insurance. Sadly, the two aren’t twinsies. Homeowners is yet another monthly expense you need to count on when buying a house. Others think that mortgage insurance is some nebulous thing that bankers are billing you for just to get your money for no reason. This is also missing a few facts. In the days before mortgage insurance, practically no one could get a mortgage with less than a 20 percent downpayment. That meant, at best, years of saving up or in many cases, simply never getting a chance at homeownership at all. Over time, banks agreed that if there were some sort of insurance policy protecting their interest in the mortgages they wrote, they might be willing to take a smaller down payment, thus opening up homeownership to a lot more people. And that’s exactly what it does today. It protects banks and enables more people to buy homes. If it weren’t for some form of mortgage insurance, there’d be no chance a bank would agree to a mortgage for someone with as little as 3.5 percent down. This is the primary benefit for homeowners. Obviously the main benefit for banks is that they don’t get hit nearly as hard in case of a foreclosure, since the insurance will pay a percentage of the mortgage value directly to the lender. Private Mortgage Insurance. When you get a conventional loan with less than a 20 percent downpayment, you’ll also be paying for a private mortgage insurance policy. Generally the price of these policies is based on a combination of your credit score and the terms of your mortgage. MGIC has a handy matrix here that can help you figure out what you’ll be paying. Some lenders may offer you an option to pay part of the policy upfront and the balance monthly, or they may offer to pay it for you in exchange for a higher interest rate. Mortgage Insurance Premium. Mortgage Insurance Premium (yes, it’s really called that) is the insurance program that all homes purchased or refinanced using an FHA loan with less than 80 percent loan to value require to secure the note. While having MIP means you’ll be able to take advantage of FHA mortgage benefits like lower qualifying scores and those 3.5 percent downpayments, you do so with one big disadvantage. Unless you bring a downpayment of at least 10 percent to the closing table, your mortgage insurance will stick around as long as the loan does. That means if you pay your mortgage off in 25 or 30 years, you’ll still be making MIP payments, too, even though you long ago built a pad of more than 20 percent equity in your home (more on this later). Oh, and MIP is a split premium, meaning you’ll pay an upfront fee plus a monthly fee. VA Funding Fees. Although you don’t pay it monthly and it’s not called “mortgage insurance,” the VA funding fee functions in the same way as other mortgage insurance programs. It protects the lender, allowing them to make more loans to more military vets. The funding fee itself is highly variable based on a whole matrix of qualifiers, but at least it’s a one-time fee that you can wrap into your mortgage. When you get a conventional loan, you don’t have a lot to worry about when it comes to mortgage insurance. Just make all your payments on time and occasionally check your bills to see just how much equity you’ve managed to earn. Once your home has at least 22 percent of its value paid down (based on the appraisal made when the loan in question was acquired, or a fresh appraisal that you’ve paid for on speculation), making your loan to value 78 percent, mortgage insurance should drop right off. This is the most common situation homeowners with conventional loans find themselves in. However, conventional mortgage insurance may also be cancelled once you’ve reached an 80 percent loan to value if you ask for it specifically and have a good payment history with no late pays in the last year. 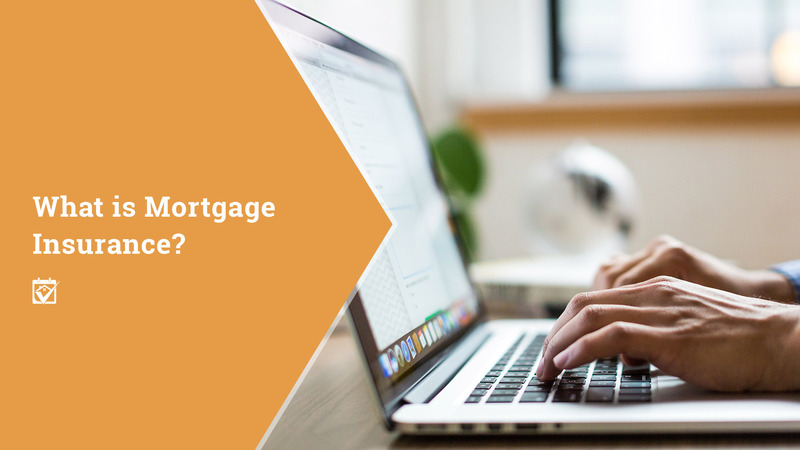 If you’re still paying mortgage insurance by the time you’ve reached the midway point of your loan, you can request the MI be dropped — this might happen if you’ve had a mortgage with a very high interest rate, for example. When it comes to FHA loans, unless yours was made prior to June 3, 2013 or you had a 10 percent downpayment (as mentioned above), you can’t get rid of your MIP and keep your mortgage. This is a distressing thought for a lot of borrowers, but many end up selling before it really becomes an issue. Those that don’t still have the option of refinancing, with some notes eligible for the low-pain FHA streamline programs. Ready to Find the Mortgage That’s Perfect for Your Purchase or Refinance? Whether you’re trying to get rid of your mortgage insurance payment or you want to buy your first home, it’s time to check in with your HomeKeepr family. Through high quality professional referrals from people like your own real estate agent, you’ll meet the best mortgage lenders and brokers in your area. Why wait? Check in to the community to get started.